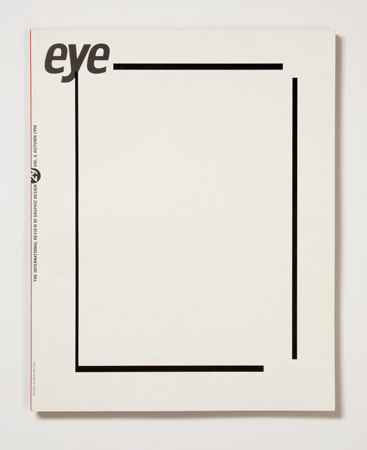 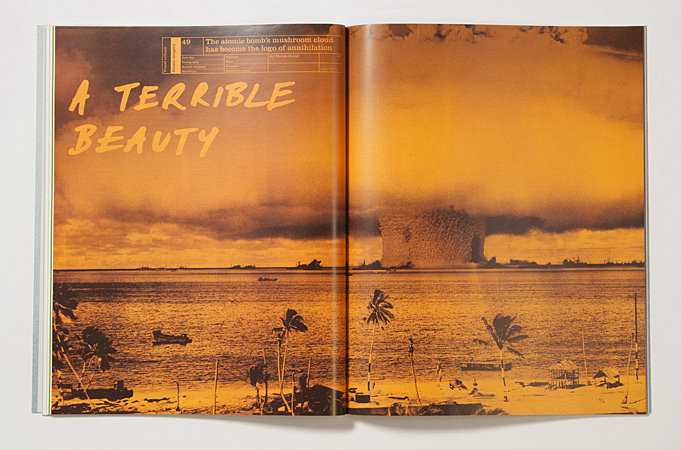 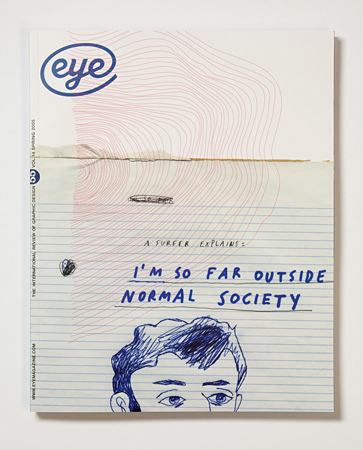 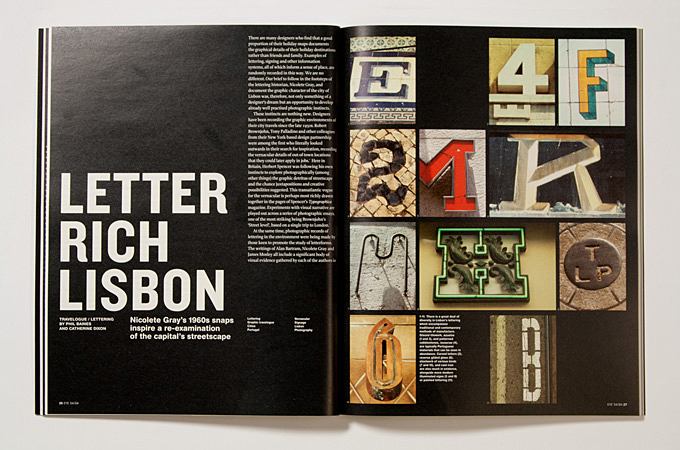 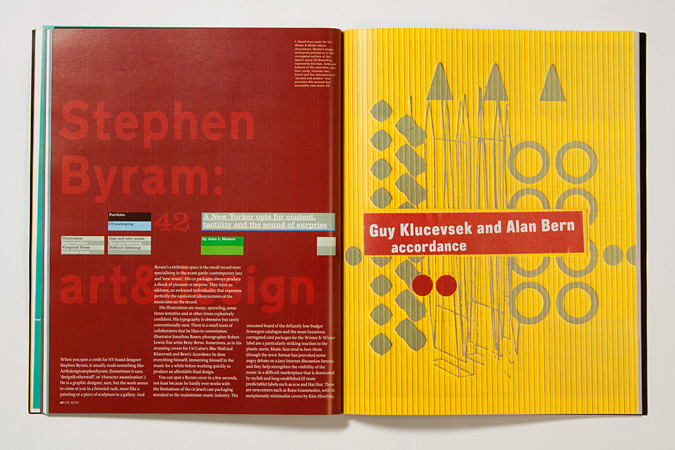 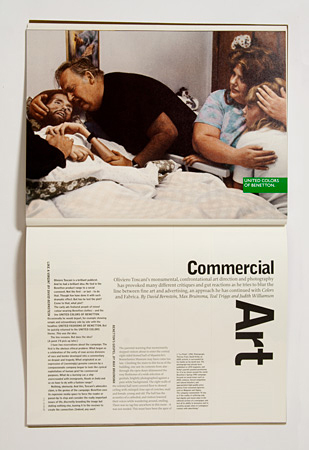 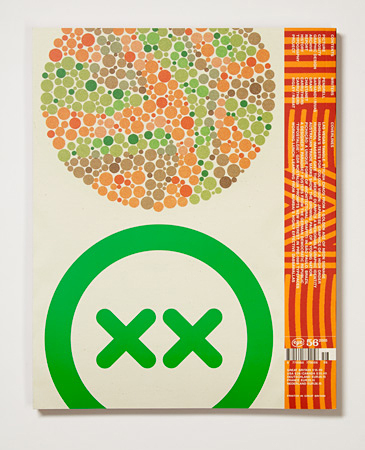 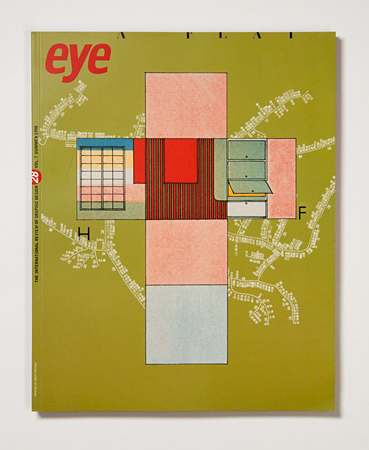 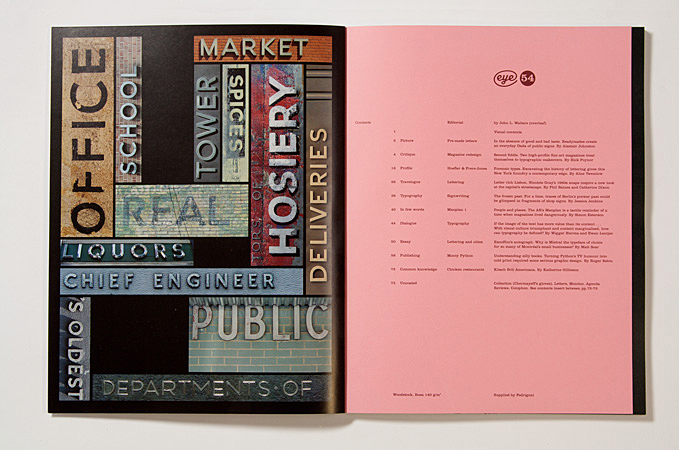 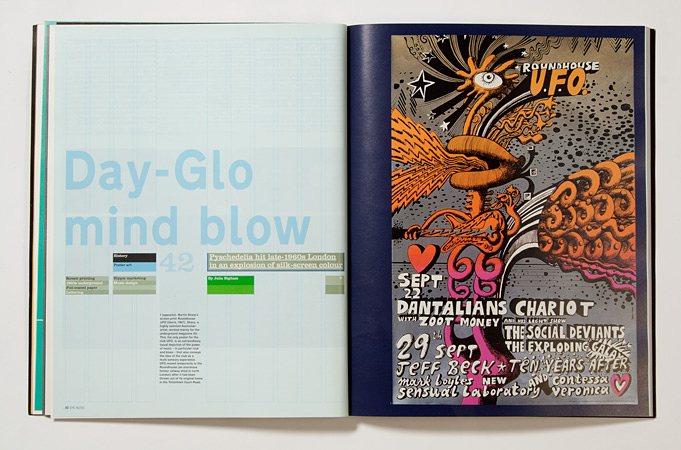 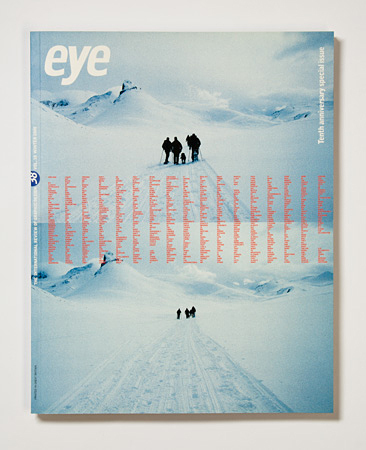 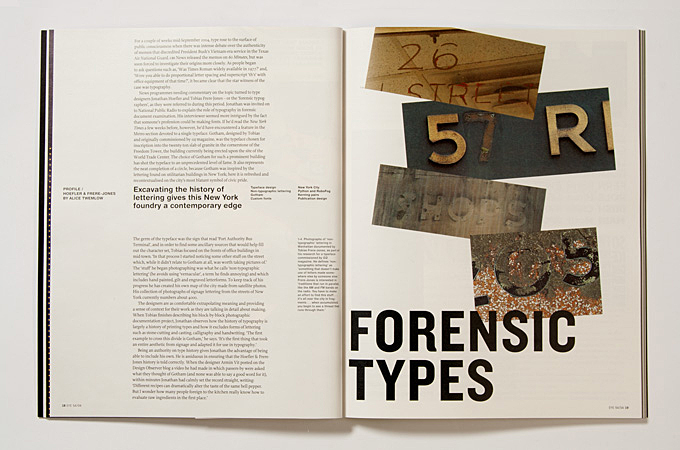 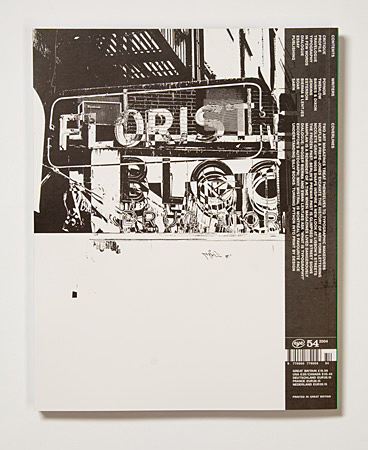 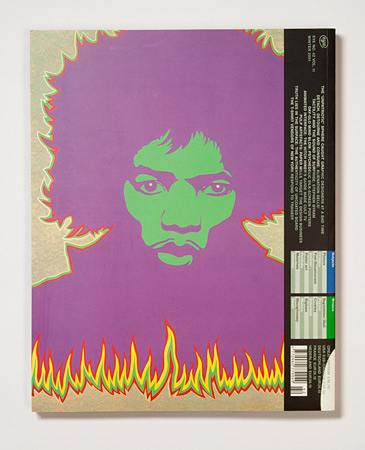 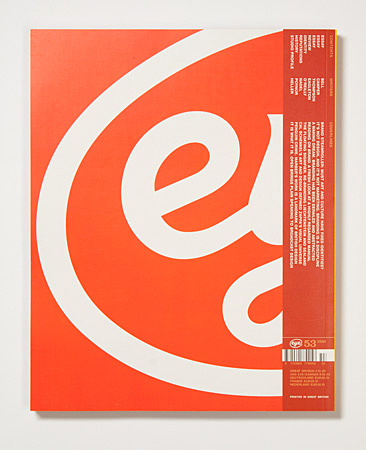 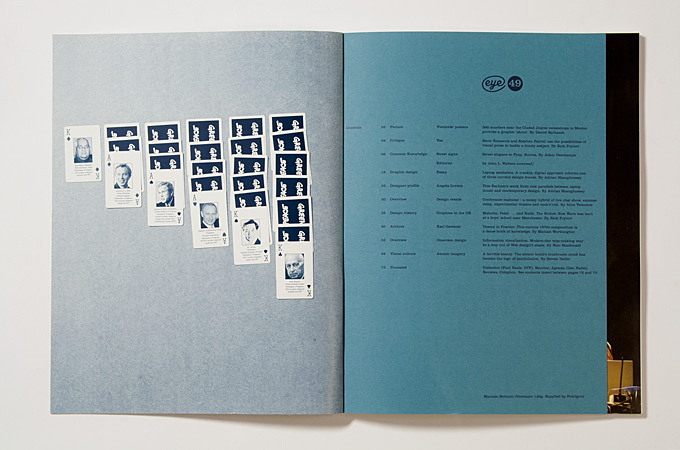 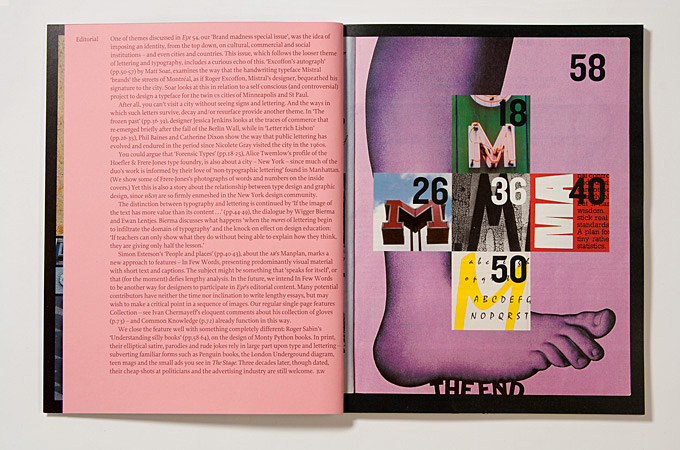 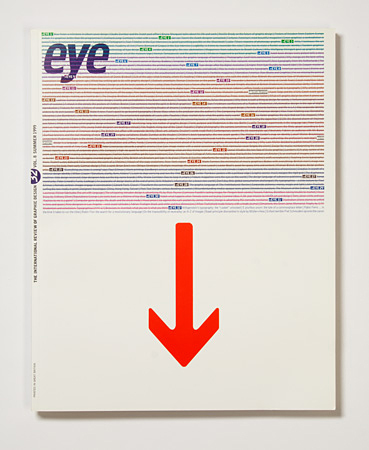 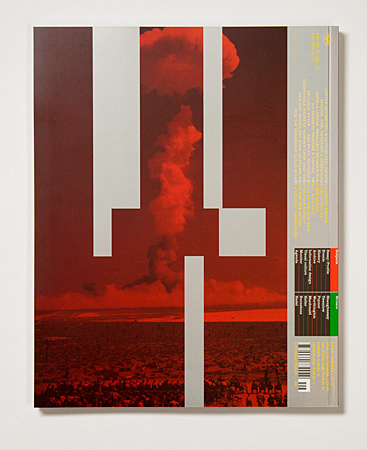 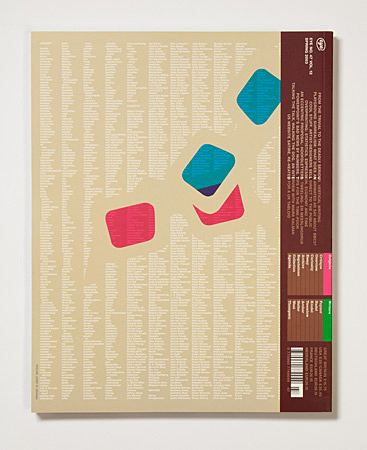 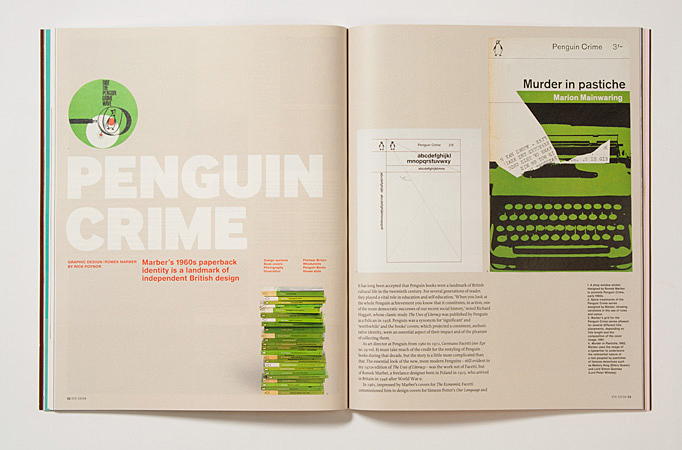 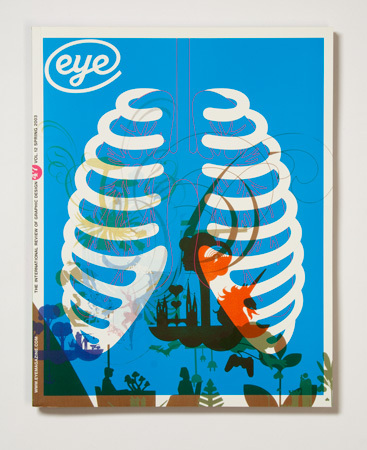 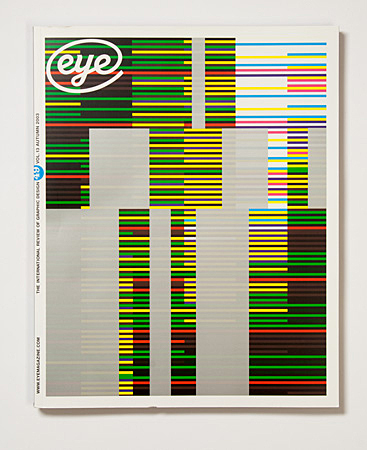 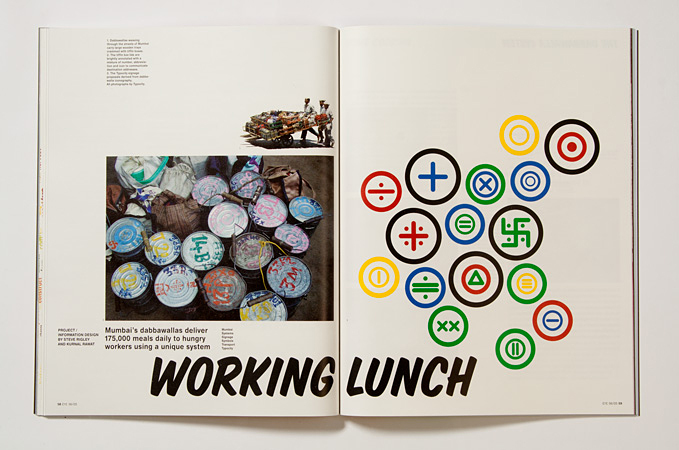 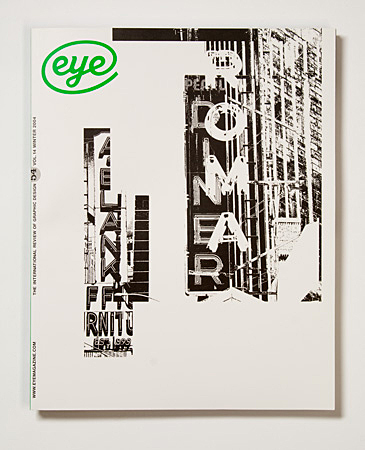 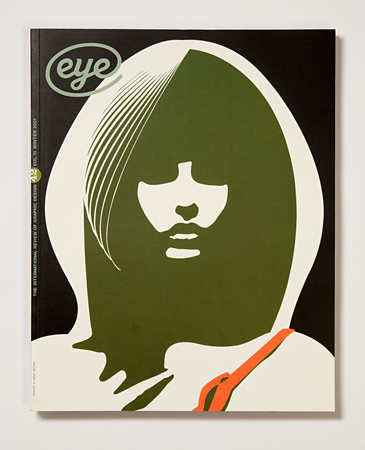 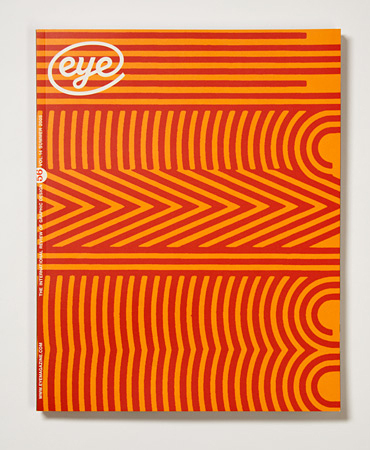 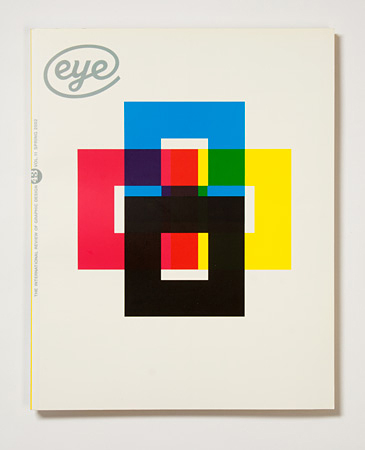 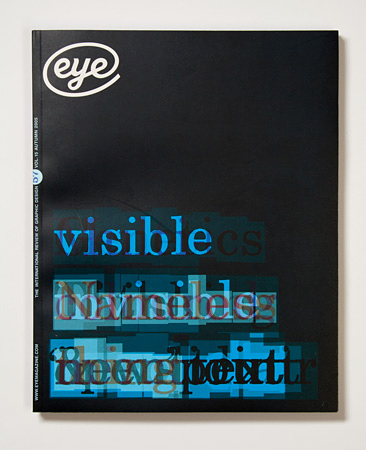 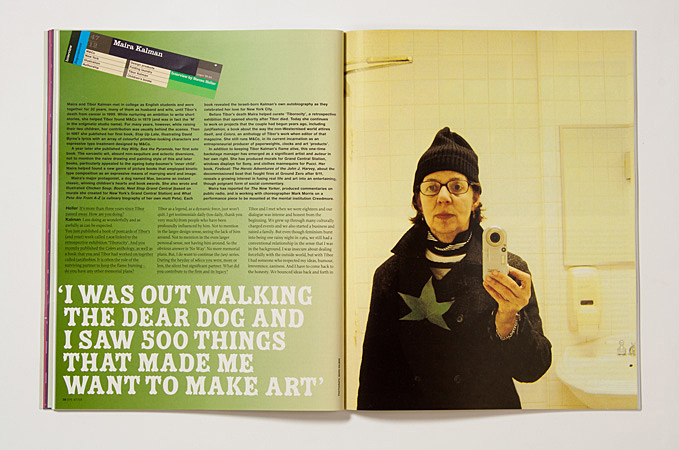 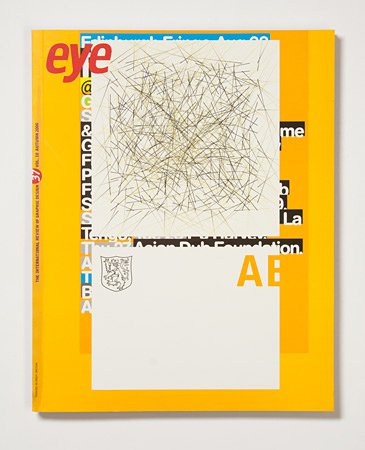 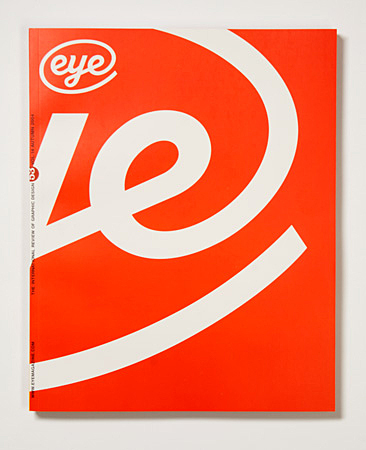 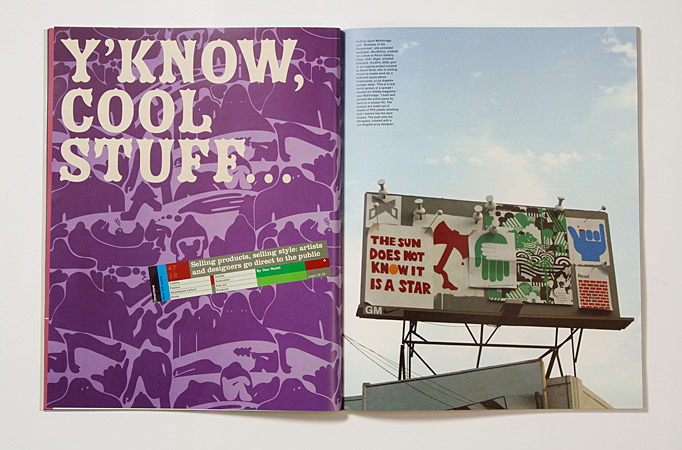 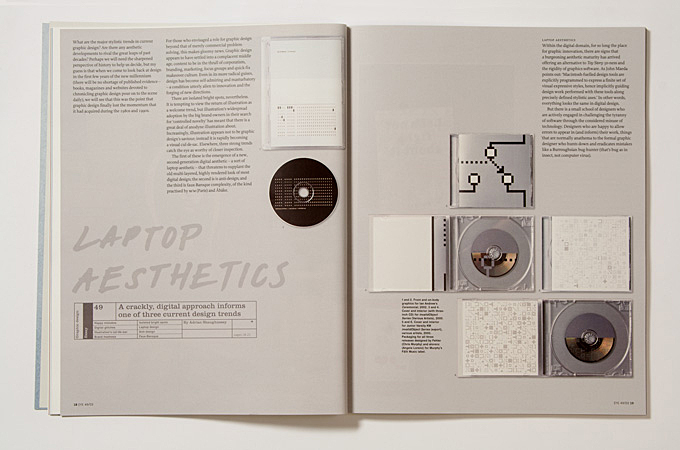 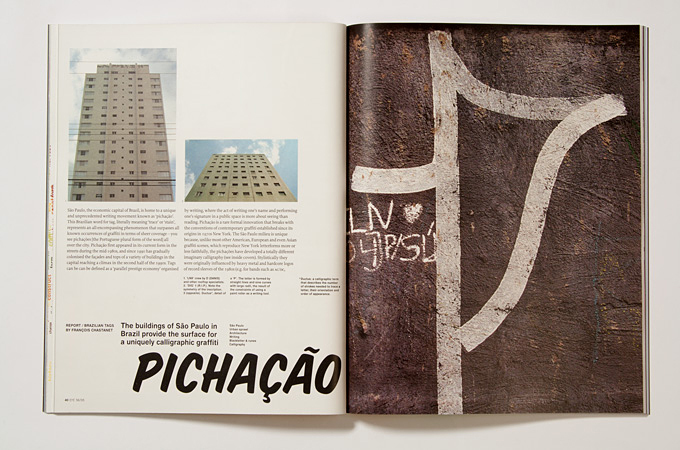 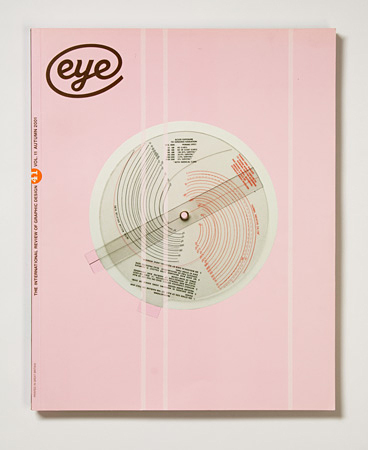 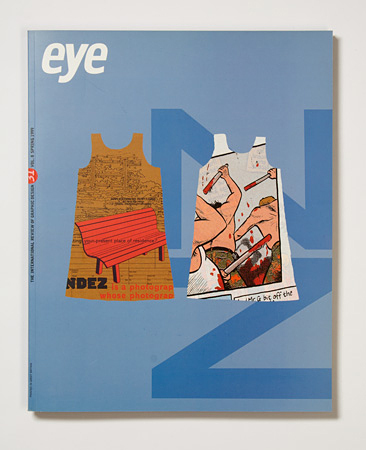 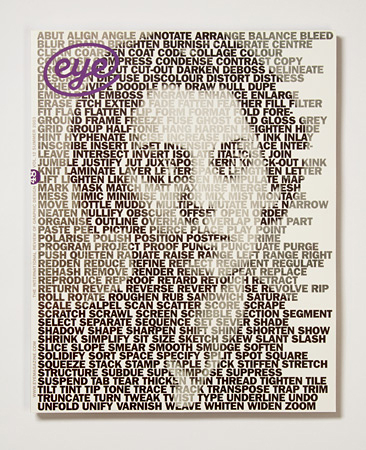 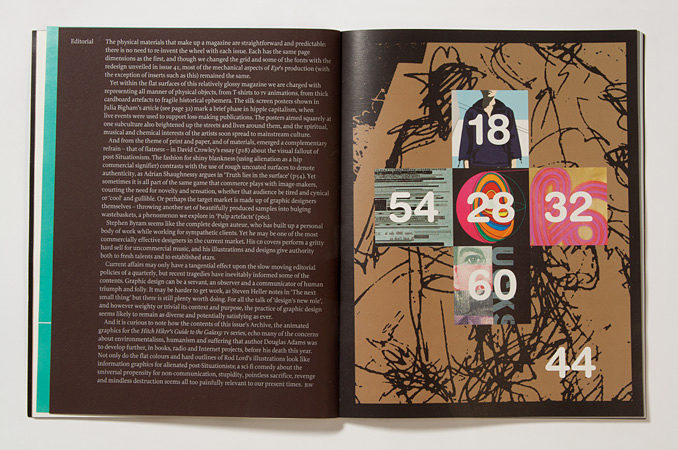 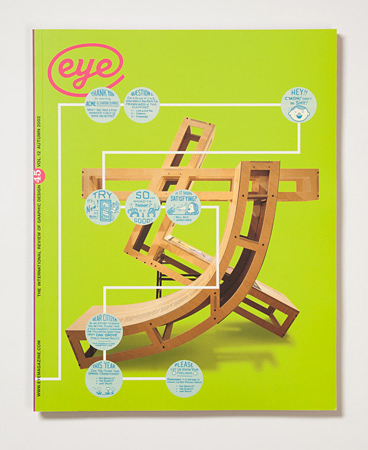 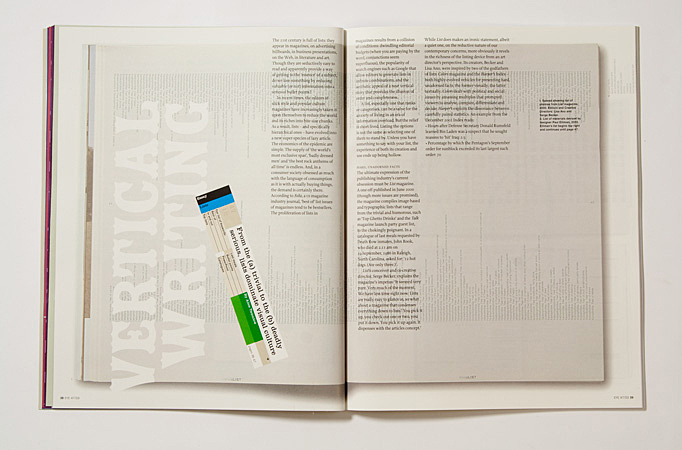 The creative directorship (1997 to 2005) of Eye magazine, the international review of graphic design. 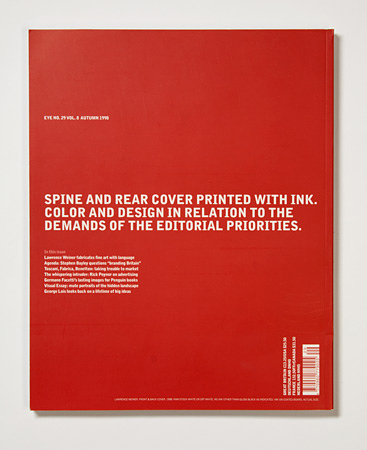 Under our tenure with editor John L. Walters the editorial approach shifted to become more thematic. 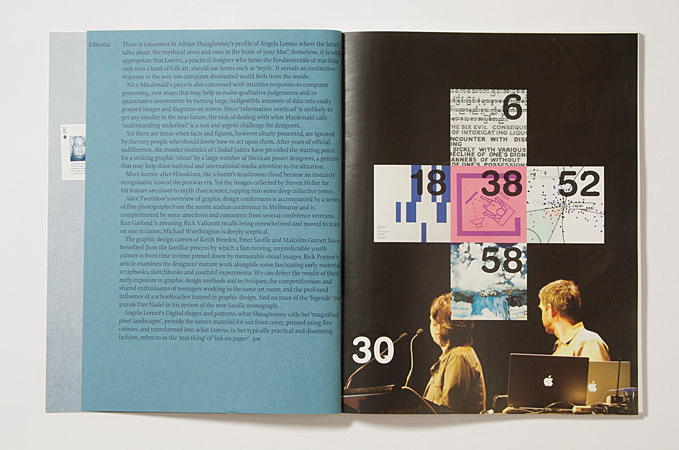 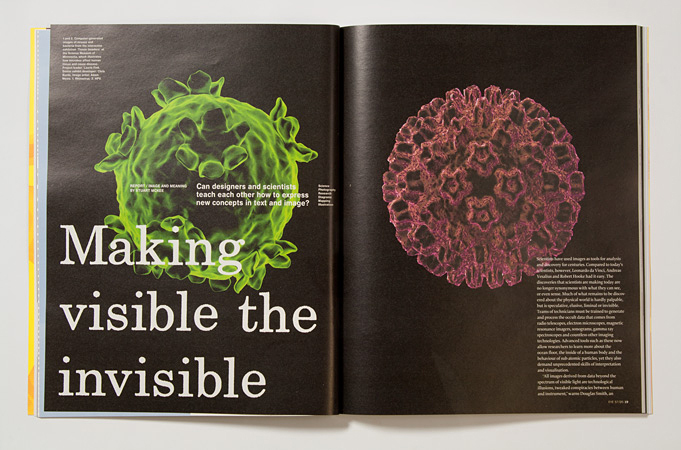 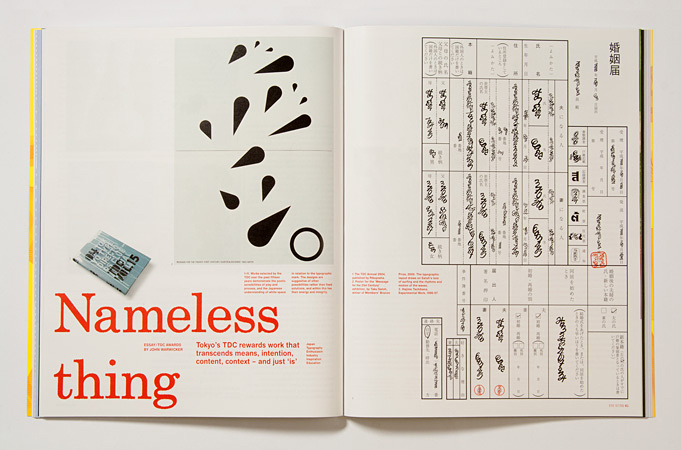 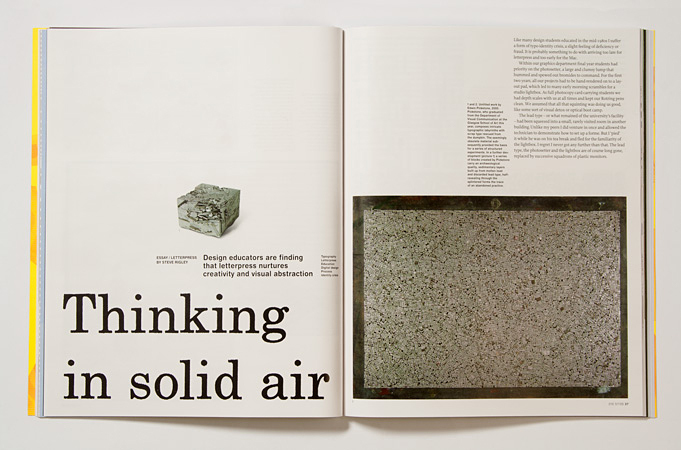 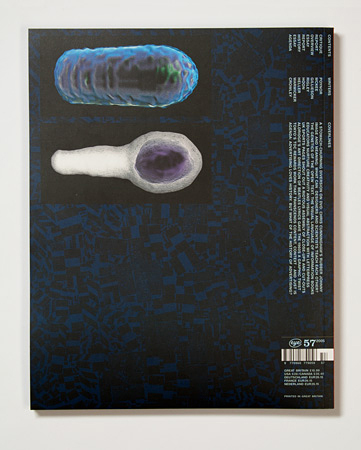 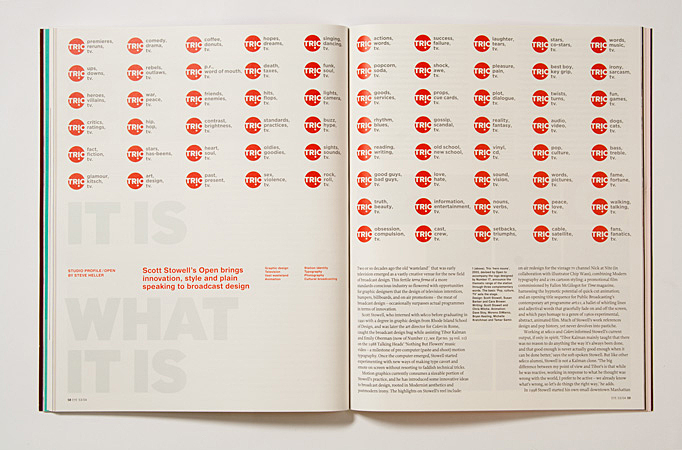 Through a reflexive monitoring of particular facets of communication design practice we tried to make each new quarterly issue more distinct from the previous one. 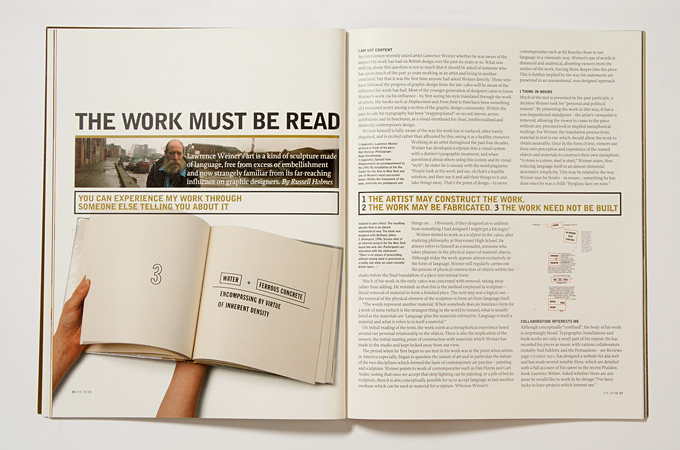 We redesigned the magazine after issue 40 from which point on we were always reiterating it, questioning it, developing it right up until our last issue (57). 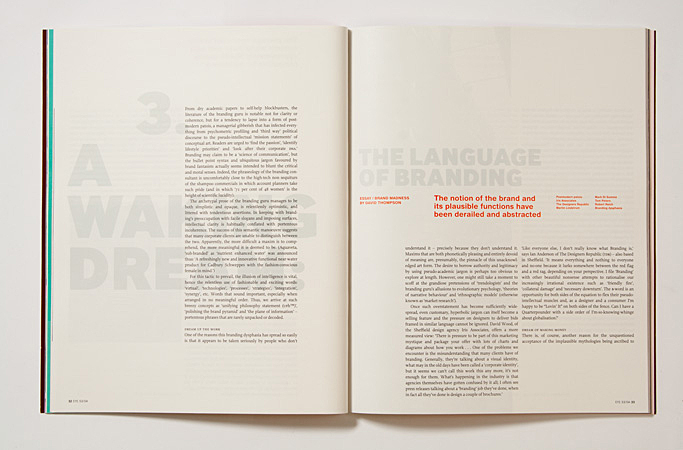 This is because we were always wanting to respond specifically to the content at hand and were therefore continuously pushing against the constraints of the redesigned format. 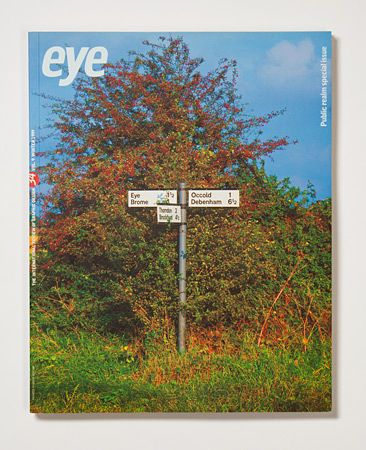 Nick Bell is an occasional contributor and remains Special Consultant to Eye.